The Eggxaminator is a brand new piece of technology that will enhance egg quality data collection even further than before. Created in collaboration with Hendrix Genetics Innovations and a tech partner from the Netherlands, the egg robot uses Machine Vision technology to examine and collect data on exterior egg phenotypes with a high amount of accuracy and consistency. Innovations in the field of animal breeding do not only apply to the genetic methods and models that we use in our day-to-day genetic evaluations, but can also be implemented in the most essential part of running a breeding program: the collection of your data. Accurate data collection is at the heart of our breeding program. Whether it is the traditional way of selection or whether it is Genomic selection, you need to have data on an individual or family level in order to calculate (Genomic) breeding values that will deliver enhanced performance traits for our customers. This need for accurate data is the reason we are so excited to announce the upcoming implementation of our egg grading robot, known as the Eggxaminator. 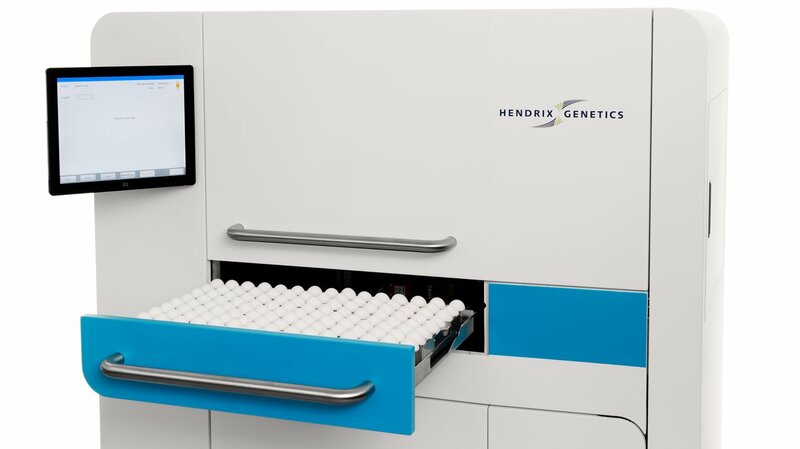 The Eggxaminator was created in collaboration with Hendrix Genetics Innovations and one of our tech partners from the Brainport Eindhoven region (home to companies such as Philips, ASML, and VDL). The Eggxaminator is able to automatically grade and inspect eggs with the focus on ten different exterior egg quality traits. The Eggxaminator uses technology known as Machine Vision in the grading of the eggs derived from our laying hen breeding programs. Machine Vision refers to the technologies and methods used to provide imaging-based automatic inspection and analysis. By adopting Machine Vision we are able to generate even more accurate data on our exterior egg phenotypes, removing the possibility for human error and subjectivity. Each evaluation can now be completed with a high amount of measurable consistency. The Eggxaminator was recently installed in our egg lab, and we plan to scale up the technology for full implementation in the layers breeding program. 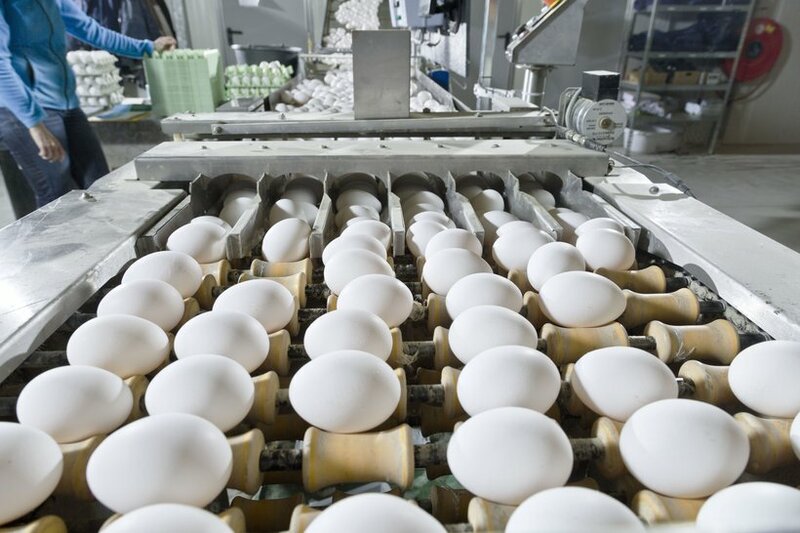 By selecting with even more accuracy for enhanced egg quality, our customers will reap the benefits of more first quality eggs during the bird’s laying cycle, with extra focus towards the end of the cycle. Stay tuned for future updates on this exciting new piece of technology!